March 2016: the March… of Progress! 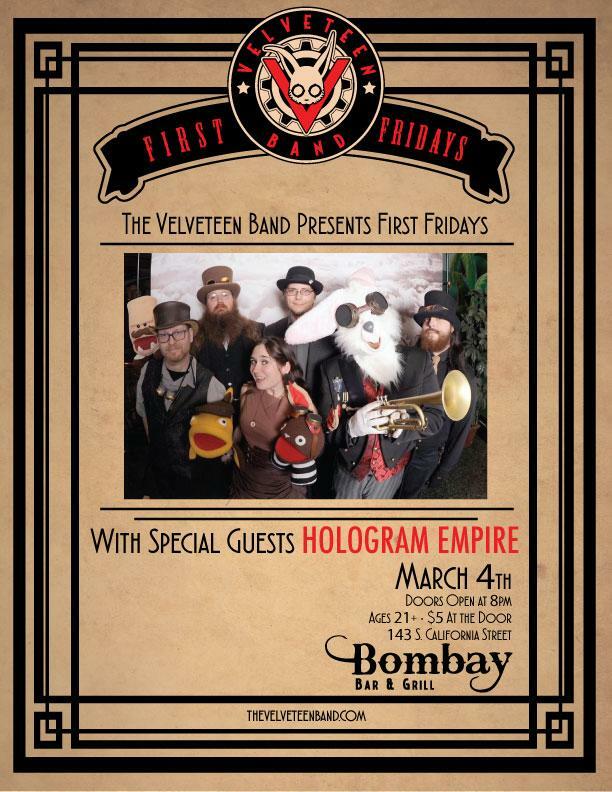 Hologram Empire is joining us at our First Fridays residency this month! Hologram Empire earned the title of “Best Alternative Rock Band” in the Ventura County Music Awards last year. Come see why. (…or how. I’m not really sure. Which word is correct? We are sadly not able to make it to Wild Wild West Con this year, but if you’re in Tucson, we highly recommend going. Say hi to our friends, and post lots of pictures to make us jealous! <– That’s what we’re missing, and it makes us sad. No plans for the Ides. Et tu? 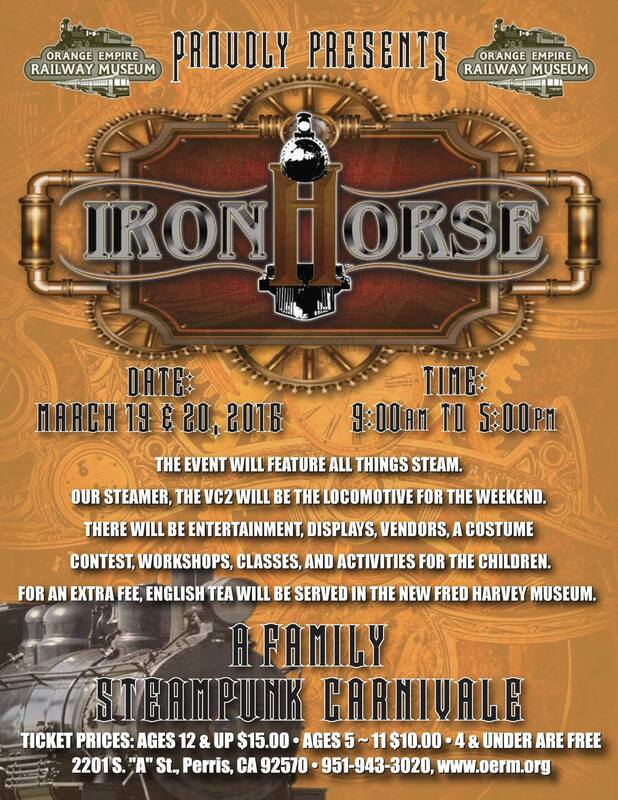 But then on March 19th, we’ll be joining Poplock Holmes, Strange Indeed, The Banjo Man, and the Frytown Toughs in performance at Ironhorse Family Steampunk Carnivale! It’s also tempting to tell you about this, ’cause we’re all excited about it and stuff. But that’s not ’til April, so just hold yer dang horses. Steamathon was amazing this year. We’ll have some video for you soon. In the meantime, we’ve got an exciting weekend ahead,and we’d love for you to be a part of it. February 5th at Bombay in Ventura, CA. February 6th at CIA in North Hollywood, CA.